Description: PDPU invited for Professor, Associate Professor & Assistant Professor Posts under various projects. 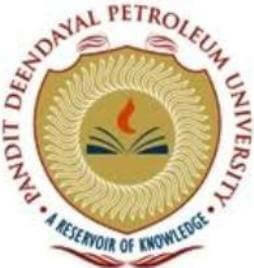 Pandit Deendayal Petroleum University - PDPU published an official notification for Recruitment of Faculty Vacancy posts. Eligible candidates can apply for this recruitment. You can view more details about this recruitment including No. of posts, name of post, Educational qualification, Age limit, Selection process, How to apply etc... You can also view official notification and other important facts about this recruitment e.g. Important links and Important dates. Interested candidates are required to apply only through online application form available on the website www.pdpu.ac.in.